YUSUFALI: Praise be to Allah, to Whom belong all things in the heavens and on earth: to Him be Praise in the Hereafter: and He is Full of Wisdom, acquainted with all things. PICKTHAL: Praise be to Allah, unto Whom belongeth whatsoever is in the heavens and whatsoever is in the earth. His is the praise in the Hereafter, and He is the Wise, the Aware. SHAKIR: (All) praise is due to Allah, Whose is what is in the heavens and what is in the earth, and to Him is due (all) praise in the hereafter; and He is the Wise, the Aware. YUSUFALI: He knows all that goes into the earth, and all that comes out thereof; all that comes down from the sky and all that ascends thereto and He is the Most Merciful, the Oft-Forgiving. PICKTHAL: He knoweth that which goeth into the earth and that which cometh forth from it, and that descendeth from the heaven and that which ascendeth into it. He is the Merciful, the Forgiving. SHAKIR: He knows that which goes down into the earth and that which comes out of it, and that which comes down from the heaven and that which goes up to it; and He is the Merciful, the Forgiving. YUSUFALI: That He may reward those who believe and work deeds of righteousness: for such is Forgiveness and a Sustenance Most Generous." PICKTHAL: That He may reward those who believe and do good works. For them is pardon and a rich provision. SHAKIR: That He may reward those who believe and do good; these it is for whom is forgiveness and an honorable sustenance. YUSUFALI: But those who strive against Our Signs, to frustrate them,- for such will be a Penalty,- a Punishment most humiliating. PICKTHAL: But those who strive against Our revelations, challenging (Us), theirs will be a painful doom of wrath. SHAKIR: And (as for) those who strive hard in opposing Our communications, these it is for whom is a painful chastisement of an evil kind. YUSUFALI: And those to whom knowledge has come see that the (Revelation) sent down to thee from thy Lord - that is the Truth, and that it guides to the Path of the Exalted (in might), Worthy of all praise. PICKTHAL: Those who have been given knowledge see that what is revealed unto thee from thy Lord is the truth and leadeth unto the path of the Mighty, the Owner of Praise. SHAKIR: And those to whom the knowledge has been given see that which has been revealed to you from your Lord, that is the truth, and it guides into the path of the Mighty, the Praised. YUSUFALI: The Unbelievers say (in ridicule): "Shall we point out to you a man that will tell you, when ye are all scattered to pieces in disintegration, that ye shall (then be raised) in a New Creation? PICKTHAL: Those who disbelieve say: Shall we show you a man who will tell you (that) when ye have become dispersed in dust with most complete dispersal still, even then, ye will be created anew? SHAKIR: And those who disbelieve say: Shall we point out to you a man who informs you that when you are scattered the utmost scattering you shall then be most surely (raised) in (to) a new creation? YUSUFALI: "Has he invented a falsehood against Allah, or has a spirit (seized) him? "- Nay, it is those who believe not in the Hereafter, that are in (real) Penalty, and in farthest error. PICKTHAL: Hath he invented a lie concerning Allah, or is there in him a madness? Nay, but those who disbelieve in the Hereafter are in torment and far error. SHAKIR: He has forged a lie against Allah or there is madness in him. Nay! those who do not believe in the hereafter are in torment and in great error. YUSUFALI: See they not what is before them and behind them, of the sky and the earth? If We wished, We could cause the earth to swallow them up, or cause a piece of the sky to fall upon them. Verily in this is a Sign for every devotee that turns to Allah (in repentance). PICKTHAL: Have they not observed what is before them and what is behind them of the sky and the earth? If We will, We can make the earth swallow them, or cause obliteration from the sky to fall on them. Lo! herein surely is a portent for every slave who turneth (to Allah) repentant. SHAKIR: Do they not then consider what is before them and what is behind them of the heaven and the earth? If We please We will make them disappear in the land or bring down upon them a portion from the heaven; most surely there is a sign in this for every servant turning (to Allah). YUSUFALI: (Commanding), "Make thou coast of mail, balancing well the rings of chain armour, and work ye righteousness; for be sure I see (clearly) all that ye do." PICKTHAL: Saying: Make thou long coats of mail and measure the links (thereof). And do ye right. Lo! I am Seer of what ye do. SHAKIR: Saying: Make ample (coats of mail), and assign a time to the making of coats of mail and do good; surely I am Seeing what you do. YUSUFALI: There was, for Saba, aforetime, a Sign in their home-land - two Gardens to the right and to the left. "Eat of the Sustenance (provided) by your Lord, and be grateful to Him: a territory fair and happy, and a Lord Oft-Forgiving! PICKTHAL: There was indeed a sign for Sheba in their dwelling-place: Two gardens on the right hand and the left (as who should say): Eat of the provision of your Lord and render thanks to Him. A fair land and an indulgent Lord! SHAKIR: Certainly there was a sign for Saba in their abode; two gardens on the right and the left; eat of the sustenance of your Lord and give thanks to Him: a good land and a Forgiving Lord! YUSUFALI: But they turned away (from Allah), and We sent against them the Flood (released) from the dams, and We converted their two garden (rows) into "gardens" producing bitter fruit, and tamarisks, and some few (stunted) Lote-trees. PICKTHAL: But they were froward, so We sent on them the flood of 'Iram, and in exchange for their two gardens gave them two gardens bearing bitter fruit, the tamarisk and here and there a lote-tree. SHAKIR: But they turned aside, so We sent upon them a torrent of which the rush could not be withstood, and in place of their two gardens We gave to them two gardens yielding bitter fruit and (growing) tamarisk and a few lote-trees. YUSUFALI: That was the Requital We gave them because they ungratefully rejected Faith: and never do We give (such) requital except to such as are ungrateful rejecters. PICKTHAL: This We awarded them because of their ingratitude. Punish We ever any save the ingrates? SHAKIR: This We requited them with because they disbelieved; and We do not punish any but the ungrateful. YUSUFALI: Between them and the Cities on which We had poured our blessings, We had placed Cities in prominent positions, and between them We had appointed stages of journey in due proportion: "Travel therein, secure, by night and by day." PICKTHAL: And We set, between them and the towns which We had blessed, towns easy to be seen, and We made the stage between them easy, (saying): Travel in them safely both by night and day. SHAKIR: And We made between them and the towns which We had blessed (other) towns to be easily seen, and We apportioned the journey therein: Travel through them nights and days, secure. YUSUFALI: But they said: "Our Lord! Place longer distances between our journey-stages": but they wronged themselves (therein). At length We made them as a tale (that is told), and We dispersed them all in scattered fragments. Verily in this are Signs for every (soul that is) patiently constant and grateful. PICKTHAL: But they said: Our Lord! Make the stage between our journeys longer. And they wronged themselves, therefore We made them bywords (in the land) and scattered them abroad, a total scattering. Lo! herein verily are portents for each steadfast, grateful (heart). YUSUFALI: And on them did Satan prove true his idea, and they followed him, all but a party that believed. PICKTHAL: And Satan indeed found his calculation true concerning them, for they follow him, all save a group of true believers. SHAKIR: And certainly the Shaitan found true his conjecture concerning them, so they follow him, except a party of the believers. YUSUFALI: But he had no authority over them,- except that We might test the man who believes in the Hereafter from him who is in doubt concerning it: and thy Lord doth watch over all things. PICKTHAL: And he had no warrant whatsoever against them, save that We would know him who believeth in the Hereafter from him who is in doubt thereof; and thy Lord (O Muhammad) taketh note of all things. YUSUFALI: Say: "Call upon other (gods) whom ye fancy, besides Allah: They have no power,- not the weight of an atom,- in the heavens or on earth: No (sort of) share have they therein, nor is any of them a helper to Allah. PICKTHAL: Say (O Muhammad): Call upon those whom ye set up beside Allah! They possess not an atom's weight either in the heavens or in the earth, nor have they any share in either, nor hath He an auxiliary among them. SHAKIR: Say: Call upon those whom you assert besides Allah; they do not control the weight of an atom in the heavens or in the earth nor have they any partnership in either, nor has He among them any one to back (Him) up. YUSUFALI: "No intercession can avail in His Presence, except for those for whom He has granted permission. So far (is this the case) that, when terror is removed from their hearts (at the Day of Judgment, then) will they say, 'what is it that your Lord commanded?' they will say, 'That which is true and just; and He is the Most High Most Great'." PICKTHAL: No intercession availeth with Him save for him whom He permitteth. Yet, when fear is banished from their hearts, they say: What was it that your Lord said? They say: The Truth. And He is the Sublime, the Great. SHAKIR: And intercession will not avail aught with Him save of him whom He permits. Until when fear shall be removed from their hearts, They shall say: What is it that your Lord said? They shall say: The truth. And He is the Most High, the Great. YUSUFALI: Say: "Who gives you sustenance, from the heavens and the earth?" Say: "It is Allah; and certain it is that either we or ye are on right guidance or in manifest error!" PICKTHAL: Say: Who giveth you provision from the sky and the earth? Say: Allah, Lo! we or you assuredly are rightly guided or in error manifest. YUSUFALI: Say: "Ye shall not be questioned as to our sins, nor shall we be questioned as to what ye do." PICKTHAL: Say: Ye will not be asked of what we committed, nor shall we be asked of what ye do. SHAKIR: Say: You will not be questioned as to what we are guilty of, nor shall we be questioned as to what you do. YUSUFALI: Say: "Our Lord will gather us together and will in the end decide the matter between us (and you) in truth and justice: and He is the one to decide, the One Who knows all." PICKTHAL: Say: Our Lord will bring us all together, then He will judge between us with truth. He is the All-knowing Judge. SHAKIR: Say: Our Lord will gather us together, then will He judge between us with the truth; and He is the greatest Judge, the All-knowing. YUSUFALI: Say: "Show me those whom ye have joined with Him as partners: by no means (can ye). Nay, He is Allah, the Exalted in Power, the Wise." PICKTHAL: Say: Show me those whom ye have joined unto Him as partners. Nay (ye dare not)! For He is Allah, the Mighty, the Wise. SHAKIR: Say: Show me those whom you have joined with Him as associates; by no means (can you do it). Nay! He is Allah, the Mighty, the Wise. YUSUFALI: We have not sent thee but as a universal (Messenger) to men, giving them glad tidings, and warning them (against sin), but most men understand not. PICKTHAL: And We have not sent thee (O Muhammad) save as a bringer of good tidings and a warner unto all mankind; but most of mankind know not. SHAKIR: And We have not sent you but to all the men as a bearer of good news and as a warner, but most men do not know. YUSUFALI: They say: "When will this promise (come to pass) if ye are telling the truth?" PICKTHAL: And they say: When is this promise (to be fulfilled) if ye are truthful? SHAKIR: And they say: When will this promise be (fulfilled) if you are truthful? YUSUFALI: Say: "The appointment to you is for a Day, which ye cannot put back for an hour nor put forward." 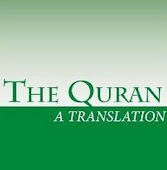 PICKTHAL: Say (O Muhammad): Yours is the promise of a Day which ye cannot postpone nor hasten by an hour. SHAKIR: Say: You have the appointment of a day from which you cannot hold back any while, nor can you bring it on. YUSUFALI: The Unbelievers say: "We shall neither believe in this scripture nor in (any) that (came) before it." Couldst thou but see when the wrong-doers will be made to stand before their Lord, throwing back the word (of blame) on one another! Those who had been despised will say to the arrogant ones: "Had it not been for you, we should certainly have been believers!" PICKTHAL: And those who disbelieve say: We believe not in this Qur'an nor in that which was before it; but oh, if thou couldst see, when the wrong-doers are brought up before their Lord, how they cast the blame one to another; how those who were despised (in the earth) say unto those who were proud: But for you, we should have been believers. SHAKIR: And those who disbelieve say: By no means will we believe in this Quran, nor in that which is before it; and could you see when the unjust shall be made to stand before their Lord, bandying words one with another! Those who were reckoned weak shall say to those who were proud: Had it not been for you we would certainly have been believers. YUSUFALI: The arrogant ones will say to those who had been despised: "Was it we who kept you back from Guidance after it reached you? Nay, rather, it was ye who transgressed. PICKTHAL: Those who were proud say unto those who were despised: Did we drive you away from the guidance after it had come unto you? Nay, but ye were guilty. YUSUFALI: Those who had been despised will say to the arrogant ones: "Nay! it was a plot (of yours) by day and by night: Behold! Ye (constantly) ordered us to be ungrateful to Allah and to attribute equals to Him!" They will declare (their) repentance when they see the Penalty: We shall put yokes on the necks of the Unbelievers: It would only be a requital for their (ill) Deeds. PICKTHAL: Those who were despised say unto those who were proud: Nay but (it was your) scheming night and day, when ye commanded us to disbelieve in Allah and set up rivals unto Him. And they are filled with remorse when they behold the doom; and We place carcans on the necks of those who disbelieved. Are they requited aught save what they used to do? SHAKIR: And those who were deemed weak shall say to those who were proud. Nay, (it was) planning by night and day when you told us to disbelieve in Allah and to set up likes with Him. And they shall conceal regret when they shall see the punishment; and We will put shackles on the necks of those who disbelieved; they shall not be requited but what they did. YUSUFALI: Never did We send a warner to a population, but the wealthy ones among them said: "We believe not in the (Message) with which ye have been sent." PICKTHAL: And We sent not unto any township a warner, but its pampered ones declared: Lo! we are disbelievers in that wherewith ye have been sent. SHAKIR: And We never sent a warner to a town but those who led lives in ease in it said: We are surely disbelievers in what you are sent with. YUSUFALI: They said: "We have more in wealth and in sons, and we cannot be punished." PICKTHAL: And they say: We are more (than you) in wealth and children. We are not the punished! SHAKIR: And they say: We have more wealth and children, and we shall not be punished. YUSUFALI: Say: "Verily my Lord enlarges and restricts the Provision to whom He pleases, but most men understand not." PICKTHAL: Say (O Muhammad): Lo! my Lord enlargeth the provision for whom He will and narroweth it (for whom He will). But most of mankind know not. SHAKIR: Say: Surely my Lord amplifies the means of subsistence for whom He pleases and straitens (for whom He pleases), but most men do not know. YUSUFALI: It is not your wealth nor your sons, that will bring you nearer to Us in degree: but only those who believe and work righteousness - these are the ones for whom there is a multiplied Reward for their deeds, while secure they (reside) in the dwellings on high! PICKTHAL: And it is not your wealth nor your children that will bring you near unto Us, but he who believeth and doeth good (he draweth near). As for such, theirs will be twofold reward for what they did and they will dwell secure in lofty halls. SHAKIR: And not your wealth nor your children, are the things which bring you near Us in station, but whoever believes and does good, these it is for whom is a double reward for what they do, and they shall be secure in the highest places. YUSUFALI: Those who strive against Our Signs, to frustrate them, will be given over into Punishment. PICKTHAL: And as for those who strive against Our revelations, challenging, they will be brought to the doom. SHAKIR: And (as for) those who strive in opposing Our communications, they shall be caused to be brought to the chastisement. YUSUFALI: Say: "Verily my Lord enlarges and restricts the Sustenance to such of his servants as He pleases: and nothing do ye spend in the least (in His cause) but He replaces it: for He is the Best of those who grant Sustenance. PICKTHAL: Say: Lo! my Lord enlargeth the provision for whom He will of His bondmen, and narroweth (it) for him. And whatsoever ye spend (for good) He replaceth it. And He is the Best of Providers. SHAKIR: Say: Surely my Lord amplifies the means of subsistence for whom He pleases of His servants and straitens (them) for whom (He pleases), and whatever thing you spend, He exceeds it in reward, and He is the best of Sustainers. YUSUFALI: One Day He will gather them all together, and say to the angels, "Was it you that these men used to worship?" PICKTHAL: And on the day when He will gather them all together, He will say unto the angels: Did these worship you? SHAKIR: And on the day when He will gather them all together, then will He say to the angels: Did these worship you? YUSUFALI: They will say, "Glory to Thee! our (tie) is with Thee - as Protector - not with them. Nay, but they worshipped the Jinns: most of them believed in them." PICKTHAL: They will say: Be Thou Glorified. Thou (alone) art our Guardian, not them! Nay, but they worshipped the jinn; most of them were believers in them. SHAKIR: They shall say: Glory be to Thee! Thou art our Guardian, not they; nay! they worshipped the jinn; most of them were believers in them. YUSUFALI: So on that Day no power shall they have over each other, for profit or harm: and We shall say to the wrong-doers, "Taste ye the Penalty of the Fire,- the which ye were wont to deny!" PICKTHAL: That day ye will possess no use nor hurt one for another. And We shall say unto those who did wrong: Taste the doom of the Fire which ye used to deny. SHAKIR: So on that day one of you shall not control profit or harm for another, and We will say to those who were unjust: Taste the chastisement of the fire which you called a lie. YUSUFALI: When Our Clear Signs are rehearsed to them, they say, "This is only a man who wishes to hinder you from the (worship) which your fathers practised." And they say, "This is only a falsehood invented!" and the Unbelievers say of the Truth when it comes to them, "This is nothing but evident magic!" PICKTHAL: And if Our revelations are recited unto them in plain terms, they say: This is naught else than a man who would turn you away from what your fathers used to worship; and they say: This is naught else than an invented lie. Those who disbelieve say of the truth when it reacheth them: This is naught else than mere magic. SHAKIR: And when Our clear communications are recited to them, they say: This is naught but a man who desires to turn you away from that which your fathers worshipped. And they say: This is naught but a lie that is forged. And those who disbelieve say of the truth when it comes to them: This is only clear enchantment. YUSUFALI: But We had not given them Books which they could study, nor sent messengers to them before thee as Warners. PICKTHAL: And We have given them no scriptures which they study, nor sent We unto them, before thee, any warner. SHAKIR: And We have not given them any books which they read, nor did We send to them before you a warner. YUSUFALI: And their predecessors rejected (the Truth); these have not received a tenth of what We had granted to those: yet when they rejected My messengers, how (terrible) was My rejection (of them)! PICKTHAL: Those before them denied, and these have not attained a tithe of that which We bestowed on them (of old); yet they denied My messengers. How intense then was My abhorrence (of them)! SHAKIR: And those before them rejected (the truth), and these have not yet attained a tenth of what We gave them, but they gave the lie to My messengers, then how was the manifestation of My disapproval? YUSUFALI: Say: "I do admonish you on one point: that ye do stand up before Allah,- (It may be) in pairs, or (it may be) singly,- and reflect (within yourselves): your Companion is not possessed: he is no less than a warner to you, in face of a terrible Penalty." PICKTHAL: Say (unto them, O Muhammad): I exhort you unto one thing only: that ye awake, for Allah's sake, by twos and singly, and then reflect: There is no madness in your comrade. He is naught else than a warner unto you in face of a terrific doom. SHAKIR: Say: I exhort you only to one thing, that rise up for Allah's sake in twos and singly, then ponder: there is no madness in your fellow-citizen; he is only a warner to you before a severe chastisement. YUSUFALI: Say: "No reward do I ask of you: it is (all) in your interest: my reward is only due from Allah: And He is witness to all things." PICKTHAL: Say: Whatever reward I might have asked of you is yours. My reward is the affair of Allah only. He is Witness over all things. SHAKIR: Say: Whatever reward I have asked of you, that is only for yourselves; my reward is only with Allah, and He is a witness of all things. YUSUFALI: Say: "Verily my Lord doth cast the (mantle of) Truth (over His servants),- He that has full knowledge of (all) that is hidden." PICKTHAL: Say: Lo! my Lord hurleth the truth. (He is) the Knower of Things Hidden. SHAKIR: Say: Surely my Lord utters the truth, the great Knower of the unseen. YUSUFALI: Say: "The Truth has arrived, and Falsehood neither creates anything new, nor restores anything." PICKTHAL: Say: The Truth hath come, and falsehood showeth not its face and will not return. SHAKIR: Say: The truth has come, and the falsehood shall vanish and shall not come back. YUSUFALI: Say: "If I am astray, I only stray to the loss of my own soul: but if I receive guidance, it is because of the inspiration of my Lord to me: it is He Who hears all things, and is (ever) near." PICKTHAL: Say: If I err, I err only to my own loss, and if I am rightly guided it is because of that which my Lord hath revealed unto me. Lo! He is Hearer, Nigh. SHAKIR: Say: If I err, I err only against my own soul, and if I follow a right direction, it ?s because of what my Lord reveals to me; surely He is Hearing, Nigh. YUSUFALI: If thou couldst but see when they will quake with terror; but then there will be no escape (for them), and they will be seized from a position (quite) near. SHAKIR: And they shall say: We believe in it. And how shall the attaining (of faith) be possible to them from a distant place? YUSUFALI: Seeing that they did reject Faith (entirely) before, and that they (continually) cast (slanders) on the unseen from a position far off? PICKTHAL: When they disbelieved in it of yore. They aim at the unseen from afar off. SHAKIR: And they disbelieved in it before, and they utter conjectures with regard to the unseen from a distant place. YUSUFALI: And between them and their desires, is placed a barrier, as was done in the past with their partisans: for they were indeed in suspicious (disquieting) doubt. PICKTHAL: And a gulf is set between them and that which they desire, as was done for people of their kind of old. Lo! they were in hopeless doubt. SHAKIR: And a barrier shall be placed between them and that which they desire, as was done with the likes of them before: surely they are in a disquieting doubt.